Gerry Simpson was appointed to a Chair in Public International Law at LSE in January 2016. He previously taught at the University of Melbourne (2007-2015), the Australian National University (1995-1998) and LSE (2000-2007) as well as holding visiting positions at Harvard Law School (1999) and the State University of Tbilisi where he was a Soros-funded Research Fellow and adviser to the Georgian Ministry of Foreign Affairs. He is the author of Great Powers and Outlaw States (Cambridge, 2004) and Law, War and Crime: War Crimes Trials and the Reinvention of International Law (Polity 2007), and co-editor (with Kevin Jon Heller) of Hidden Histories (Oxford, 2014) and (with Raimond Gaita) of Who’s Afraid of International Law? (Monash, 2016). Gerry’s current research projects include an ARC-funded project on Cold War International Law (with Matt Craven, SOAS) and Sundhya Pahuja, (Melbourne) and a counter-history of International Criminal Justice. He is currently also writing about the literary life of international law; an exploratory essay – “The Sentimental Life of International Law” – was published in The London Review of International Law. A book of the same name will be published in 2019. 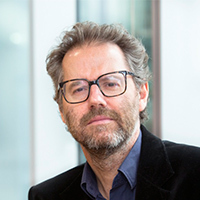 He is an editor of The London Review of International Law and an occasional essayist and contributor for Arena Magazine.